Have you ever prayed for patience? What usually happens? And you know what? Reaching my breaking point is absolutely what I needed. And do you know what is so awesome? He answered right away. He was right (obviously). I had lost perspective. I was investing my time and emotions in very trivial things that offer no lasting return. My life was so “noisy” with social media and technology, that I was distracted and easily ignoring the leading of the Holy Spirit in favor of my own fleshly desires – all to the detriment of my time, energy, and growth. Quite surprisingly, it didn't take much convincing. The very next day, I warned friends and family of the upcoming hiatus and 24 hours after that, I deactivated my Facebook account. It was a strange feeling, and I didn't know when – or even IF – I would ever return. It quickly became very clear how much time I had been spending aimlessly scrolling through my Facebook newsfeed, reading news stories, keeping up with my favorite bloggers, and flat-out thinking about Facebook. *snap* “Oh, that would be such a cute picture to post of Eli!” ... “Hm...I wonder if she posted her cake smash pictures yet.” *snap* “New profile pic!” You may be familiar with those thoughts running through your head, or you may be like me and not even realize you did it until after you kick that crud to the curb! After that, I stopped praying for patience and started praying for perspective. God revealed to me several verses as I earnestly searched His word over the next month. Each passage afforded increasing clarity into the true state of my heart. Longsuffering – a.k.a. “patience” – is a fruit of the Spirit (duh). So, if it was patience I was after, I needed to draw nearer to God (double duh)! When I was praying for patience, God was responding by saying, “Okay, then, my child. Lean on me.” But instead of understanding that the surmounting challenges were designed to teach me what patience really is, and learning therefore to lean on God, I was getting frustrated that God wasn't answering my prayer the way I had expected. I needed to stop worrying about what that guy said on the article with that picture that was reblogged from that Top Ten list that a girl shared on Facebook. Drama in the cloth diaper group? I always shook my head at the needless bickering, but in the shower or nursing Little Mouse in the wee hours of the morning, I'd find myself going back over the conversations many times over, thinking, “What's wrong with them? Don't they have anything better to do?” What was wrong with me?! There are certainly much more fruitful things I could be mulling over in my quiet moments! I had contracted a “spiritual heart murmur.” I was letting the doors to my heart open up the wrong way; instead of being filled by God and allowing His love and goodness to flow freely, shining in my life, I was allowing things of the world to flow backwards, into my heart. But with the right perspective – setting my mind on the things above – this spiritual heart murmur was healed. Pride. The sin that bore all sins. It's certainly one that I struggle with most if I'm not firmly rooted in God's Word. Once I lose patience and perspective, pride creeps in quietly, slowly hardening my heart and suffocating my spirit. It took a lot of prayer to admit I was dealing with A LOT of pride. I didn't think I ever compared Little Mouse to other children – in fact, I often spoke of how each child is an individual and will develop in his or her own time. God revealed the truth to me, though, with these three verses. Yes, it took THREE for me to say, “Okay, okay, God! You're right! I get it.” Because in the depths of my heart, I HAD been holding Little Mouse up on my own little shiny, Mommy-made pedestal (probably one I made with an idea I got from Pinterest. KIDDING!). It's okay to be PROUD of your child, but his advancements and new skills were becoming idols to me. “He's learned a new sign! He's stacking blocks! He's running, talking, singing, etc.! We should record a video of it and put it on Facebook! I bet a lot of people will like it!” Secretly and silently I had been comparing him to other little ones, namely his cousin. It took a lot of prayer and digging into God's Word to admit this sin not only to myself, but eventually to the person against whom I was sinning. Colossians 3:23 gets me through most days: “Whatever you do, do your work heartily, as for the Lord...” gives me that extra energy when duty calls in whatever area of life. But my hard work at home began controlling me. If the house wasn't up to snuff because I didn't have the time to do all the dishes dirtied by baking with my ten-year-old sister-in-law “Auntie M” who I watched most days this summer, it affected my mood. If the house was clean, I was happy. If Little Mouse was having an exceptionally clingy week or we did something special one day with Auntie M and I didn't stick to my cleaning schedule, I'd get short. I finally realized I was placing my clean house on too high of a priority. A clean house is nice, and I prefer it, but being present with my family is irreplaceable. I needed to take a lesson from dear sister Martha (Luke:10:39-42). I patted myself on the back way too many times at the beginning of the summer for watching Little Mouse's Auntie M on most days over the summer. So much so that I began resenting others for not watching her an equal amount. She stayed at our house three days each week, and occasionally more if there was something special going on like recording her music video or having a MacGyver slumber party night. There were days we went to the zoo, to the pool, or to the park; there were also days where we stayed at home, baking, doing chores and tasks for an allowance, or doing little more than napping when Little Mouse napped while she read or played “Donuteria” (we got really good at Donuteria!). Some days were good. Other days, I was happy to see the sun go down. But regardless of the day we had, I loved my time with her, and learned something new every day. Plus, Little Mouse absolutely ADORES his Auntie M, so it was such a precious thing to watch them grow even closer! I never had a second thought as to whether or not we could watch her this summer. 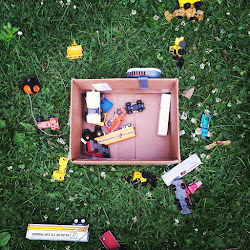 I knew that family just plum does things for family, and that I would take her as many days as she needed a place to be, whether or not I was exhausted. However, a lot of pride ended up coming with that decision, and I began beating my chest in some sort of show of Mommy-greatness or something. I became a martyr in my own mind because of how generous I believed I was being in spite of how tired and busy I already thought I was. Then I began comparing myself to others, and the resentment crept in... Ugh, I was a mess of pride. A big ol' mess of ugly, slimy pride. When God showed me that source of pride very shortly after deciding to get off of the internet, I prayed for humility and grace. I was humbled frequently over the course of our time together, and afforded many opportunities to lean on Him for patience and perspective. It wasn't until the END of the summer, though, that I dealt with the resentment that had bored its way into my heart. Once I confessed my feelings and that sin of my heart to my sister-in-law, God healed that scar I had let creep in and take control me. In college, I used to joke that I felt like a “Jack of all trades, master of none.” I didn't know what my calling was. After college, though (ooof course), I discovered how much I love, love, love knitting, sewing, and photography, and how easily all three of those trades come to me. 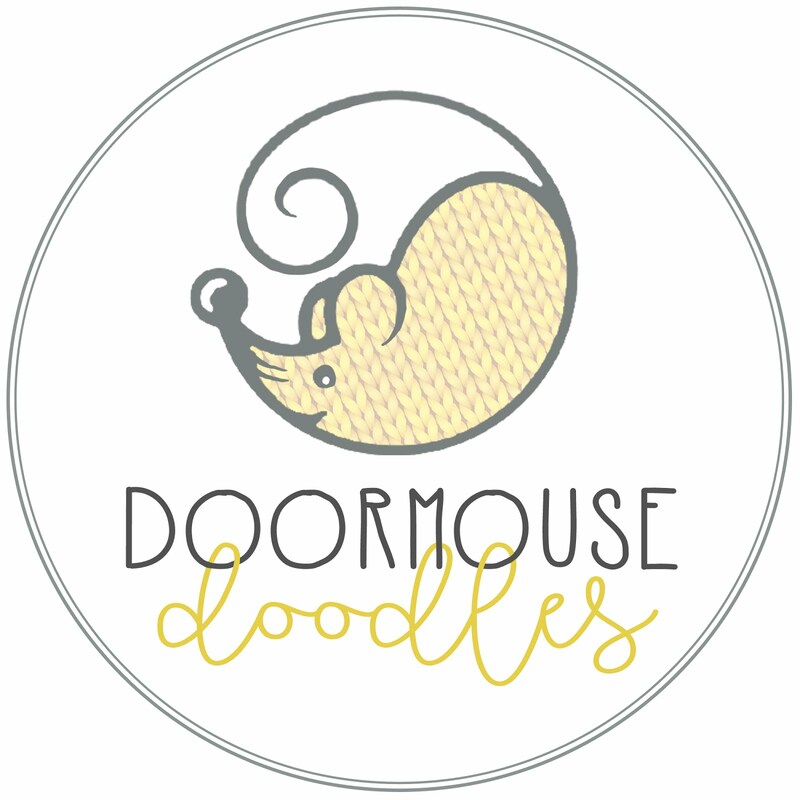 I started Doormouse Doodles in 2010 and have been slowly growing since then. I now sell a few hand-knit or sewn things off and on under that name via Etsy (more off than on since Little Mouse takes up most of my time nowadays) and run Doormouse Photography, booking mostly senior photo sessions in the summer and autumn. I love the work! I love the people! But I was letting it eat up too much of my time and resources. I started comparing myself to others, and – you guessed it! – allowing the pride to swell in my chest. All three of these verses were instrumental in helping me realize and overcome this pride. First, Colossians 3:23: “Whatever you do, do your work heartily, as for the Lord rather than for men...” My work is FOR THE LORD! NOT for men! And NOT for myself! No matter how many accolades, likes, comments, bookings, sales, etc. I may get this side of heaven, it will do nothing for my eternal standing. I should work hard, and for the Lord, but with the understanding that it is not my work or popularity here on this earth that adds to my heavenly stores. I should strive always to seek after everlasting, heavenly rewards over worldly praise that is short-lived. “...for where your treasure is, there your heart will be also.” I learned that most of all, if my treasures are here in this world, then my heart is not guarded, and I'm opening myself up to fall back into the pit of pride and worldly perspectives. Originally, I was not going to take any bookings for senior photo shoots over the summer because I was going to be watching Auntie M (remember: I thought myself a martyr for the cause). I realized when I read this verse, though, that if I put my relationship with God first, HE will give me what I need to get done what HE wants. Seek FIRST His kingdom and His righteousness, and EVERYTHING ELSE will fall into place. Maybe I wasn't supposed to take on any shoots, maybe I was. I began the summer after kicking the internet to the curb with an open heart for God's will. And he dropped 5 bookings into my lap without Facebook, a website, or any advertising! And the overarching lesson in cleaning out all of these prideful areas of my heart was that I needed to stop comparing myself to others and living by a worldly standard, and start living by GOD'S standards! Because when I compare myself to God's standard, I will always be learning and growing, and will constantly be humbled by His grace in spite of my failures and broken state; therefore pride will not overtake my heart. I understand more now than ever that any good that I do is because of HIM – any good that comes out of me is the HOLY SPIRIT. 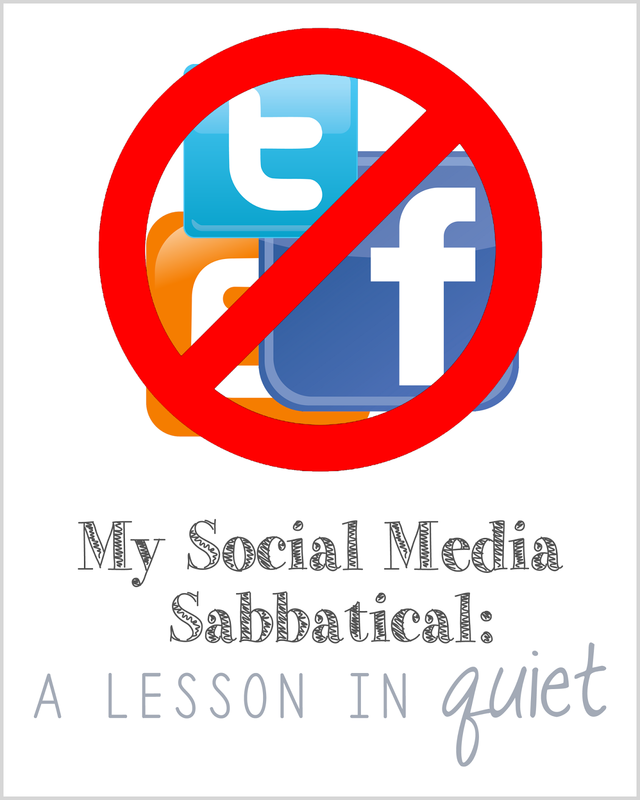 Being off of social media this summer got me away from the procrastination and pseudo-connections of the internet. I was able to plant seeds in my life and in the lives of others, as well as allow the Holy Spirit to work through others in my life. I relished the respite from the rat race and extra time to focus on God and His will for my family. I got organized with a Homemaker Planner (more on that in an upcoming post! ), and finally got into a very consistent routine with housekeeping for the first time since Little Mouse's birth. I even made a little chore and schedule area for Auntie M to follow on days when she was at our house. Having a schedule helped her in knowing what to look forward to and expect out of the day, and made my life a lot easier, too! I was blessed with the opportunity to take on several senior shoots and sold a few handmade items on Etsy. This blessed our family with unexpected, extra financial provision and also gave me an outlet for my creativity and way to bless others with the talents God has given me. Staying off of my computer allowed spare time to spend with my husband as well, playing Ticket to Ride (we LOVE this game!) or talking about what we've been reading or studying in our Bibles. I have learned SO much from Him, not only in terms of wisdom and spiritual growth, but also in terms of being diligent about always reading and putting Bible study first, and doing other things only after I've spent time in God's Word. This summer has also been an amazing time of growth for Little Mouse, both physically and mentally. Being “unplugged” has given me time to be entertained by him and him alone throughout the day and at the end of the day, reflect on all the amazing things he's been up to. This time has really fostered a newfound amazement with both God's creation, as well as this tiny glimpse into how He loves us as His children! And of course, being unplugged has allowed me to step back from the camera and be present in each moment every day. Instead of being glued behind my viewfinder, trying to capture every fleeting second so I can remember this time years from now, I had to actually remind myself to grab the camera and take a few snapshots! It was definitely a refreshing change of pace for an admitted shutterbug! Well, as evidenced by my reappearing Facebook profile page, I've decided to hop back on. I rejoined mostly because of my “Mommy-friends” and family from whom I'm separated by hundreds of miles, and with whom I keep in touch mostly through Facebook. However, I plan to spend A LOT LESS time on it than I did before, for more reasons than just the time factor. One thing that played a part in why I was so convicted to get off of Facebook for a spell is that, quite honestly, a lot of what I see shared on there is either (a) not God-honoring or (b) simply distracting from the important things in life. And that's how Satan works – one little nudge away from the Truth at a time. Getting back onto Facebook “full swing” would be foolhardy and by no means guarding my heart. So I'll be in and out – though mostly “out” – of that neck of the woods. 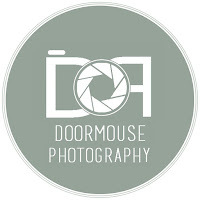 Most of my updates will be going on here at The Doormouse House instead of Facebook. Now, let me be clear: In all of this, I'm not saying that Facebook or social media is totally unwholesome. Nor am I of the mindset that everyone should take a time-out from it for awhile. I definitely found myself missing my distant family and my “Mommy-friends” from all around the country who have children Little Mouse's age, since Facebook is the only way we keep in touch. But I believe that we could ALL benefit from carefully examining how we are spending our time and prayerfully considering how our pastimes are affecting every aspect of both our earthly and spiritual lives. Lucas and I prayerfully decided last year that if we could watch a two-hour movie and remember it almost line for line, why couldn't we spend two hours in our Bibles instead, and get so much more from that time spent? Since then, I can count the number of times we've watched a movie together on one hand (and both were for research purposes, actually! ), and God has blessed us enormously for following His conviction and leading for our family! I have some awesome things planned for the blog as we get into the Christmas season, so make sure you keep up-to-date! 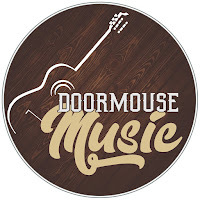 You can subscribe to updates here at The Doormouse House to get all the goodness sent straight to your email inbox, or bookmark the blog and check back every now and then. Though I won't be 'active' in the Facebook community, I will be sure to hop on now and then to share links to the blog entries I post, so you can follow our goings-on there, too. Hope to see you around!